Intermediate Camp is designed for the more advanced recreational and challenge players ages 7-12 and will run parallel with our Junior Skills Academy Camp. The WISA Skills Academy, held on the campus of Wingate University, is aimed at providing young soccer athletes with an optimal learning environment in which to enhance their technical soccer skills. The intermediate skills Academy will be run in an entertaining format whilst providing the young with the essential, fundamental soccer techniques. Sessions will incorporate a various range of fun technical games and soccer play. The advanced Skills Academy aims to focus on the more advanced skills and team awareness and development. Both offense and defense principles will be covered and the focus will be on the overall knowledge of the game. 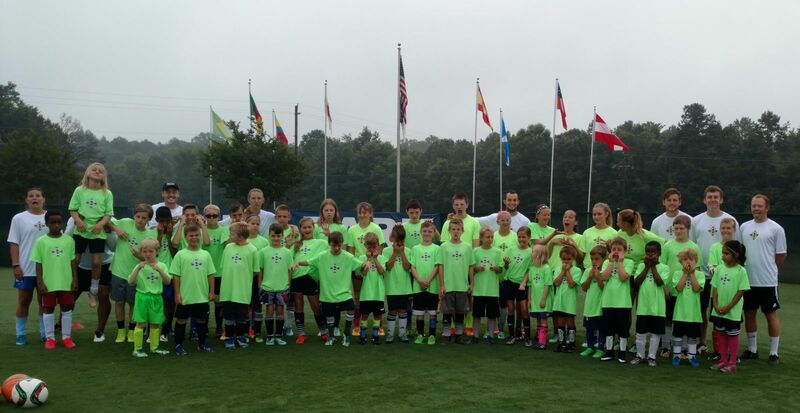 The Skills academy ultimately aims to provide the youth a fun, energetic week in which to enhance their primary soccer techniques and skills. *Teams are strongly encouraged to attend together and will be assigned a staff coach for the week. Players will be grouped according to their age and/or ability, unless attending with their team. All campers will receive a camp t-shirt. Time: 9am - 3pm. On the first day, players should plan on arriving between 8:30 and 8:45 to get checked in.